Help! 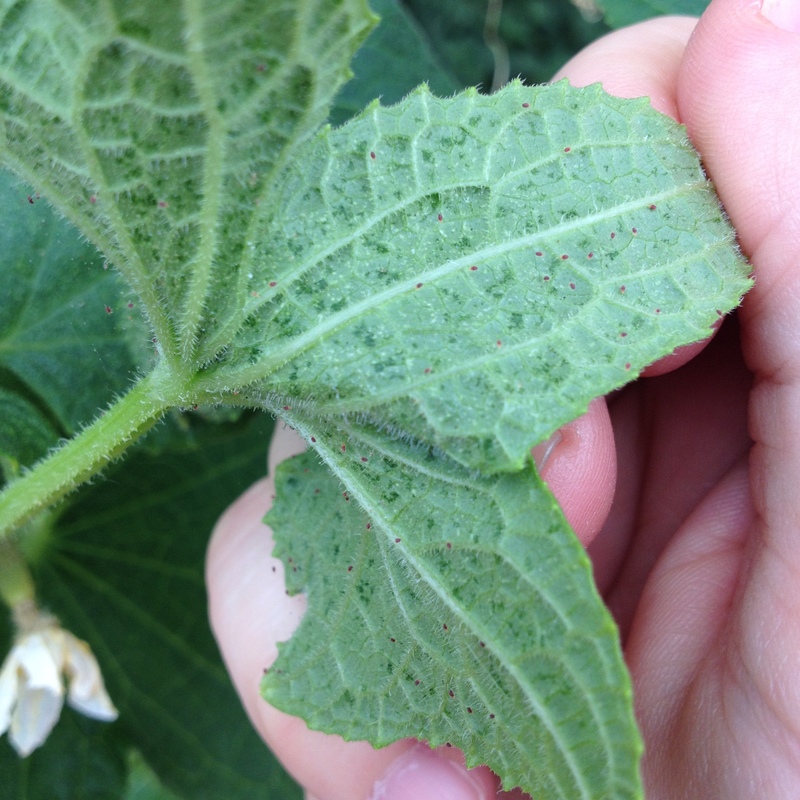 I have some sort of red mite on my cucumbers, and I have no experience with them. A search says they could be Southern Spider Mites, but those look huge compared to these. They are the tiny reddish dots all over the leaf in the photo. When you look closely, they appear to be mites, but they don’t look like spiders, meaning they shouldn’t be the Southern kind. If anyone has any idea, I’ll tell everyone I know that you are the best living* human being ever. *Participants must be living humans from Earth. Next Next post: Mite problems? Ask Twitter!